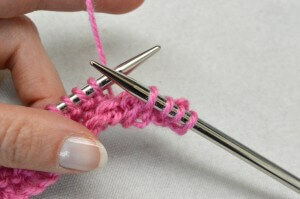 The Latvian Twist, also known as the twisted stitch edge, makes a lovely edge. In the above picture, I used it in my Ayamaru cowl. This edge can be worked in both stockinette stitch as in garter stitch, the latter also preventing rolling. The edge can be made in multiples of 3 to 6 stitches, each giving their own look to the piece. 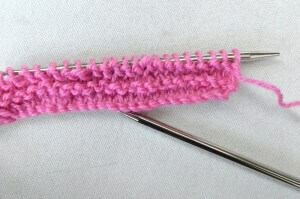 In the step by step how-to below, we are making a garter stitch Latvian Twist, worked over multiples of 4 stitches. 1. 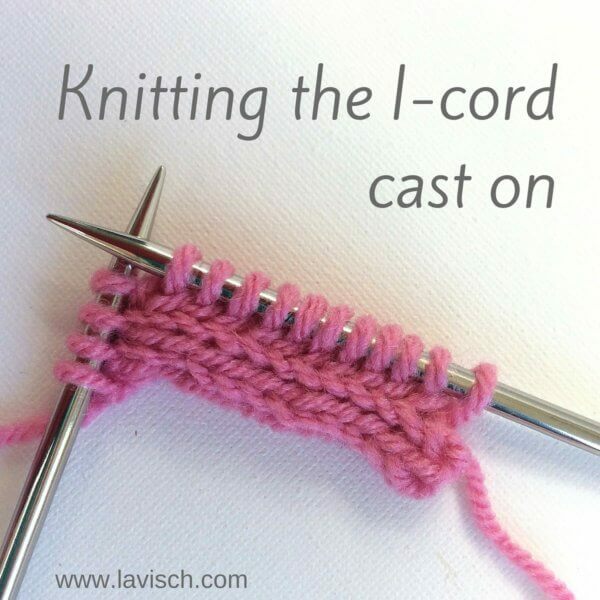 Cast on stitches, making sure you have a multiple of the type of Latvian Twist you want to make. 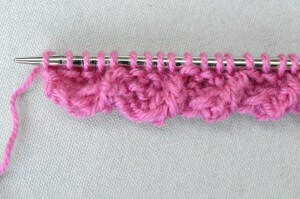 For this example, I cast on 24 stitches, as multiple of 4 stitches. You can use your preferred cast on, I used a cable cast on. 2. Knit 4 to 6 rows, again this depends on the look you want to achieve. Working more rows makes for a fatter Latvian Twist. 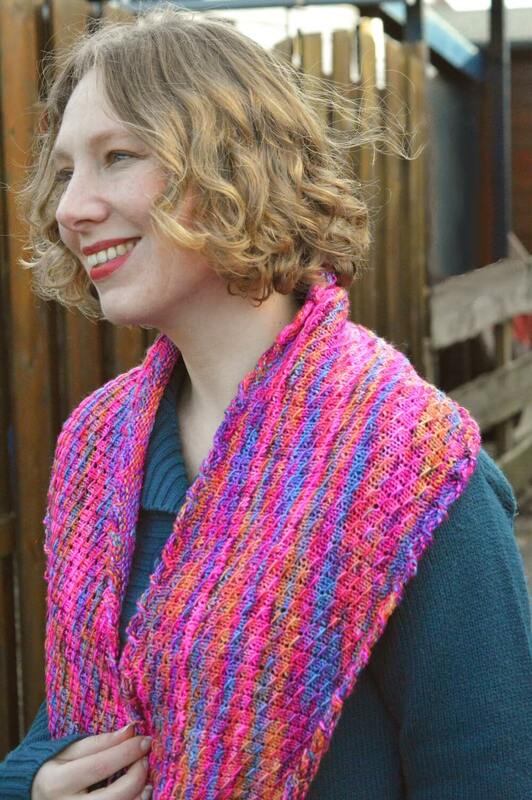 In this example, I knit 4 rows. 3. Next, knit 4 stitches or the number of stitches you are working multiples off. 4. 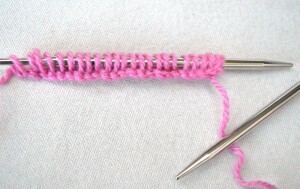 Rotate your right-hand needle clock-wise around the left-hand needle, twisting the work. 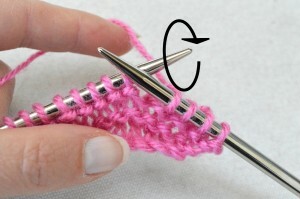 Make sure your yarn is positioned in such a way that you don’t create a yarn over. 5. With the rotating action, the yarn will be twisted together with the rest of knitting on the right-hand needle, around the garter piece already worked. Pull it tight. 6. Repeat steps 3 to 5 until all stitches are worked. 7. Knit (or purl) one more row. 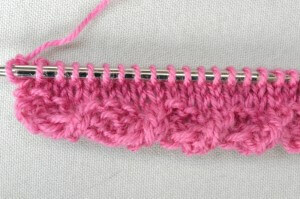 In this example, I knit 1 row. With this extra row, you lock down the twists worked in the piece. 8. Then continue with your main pattern. 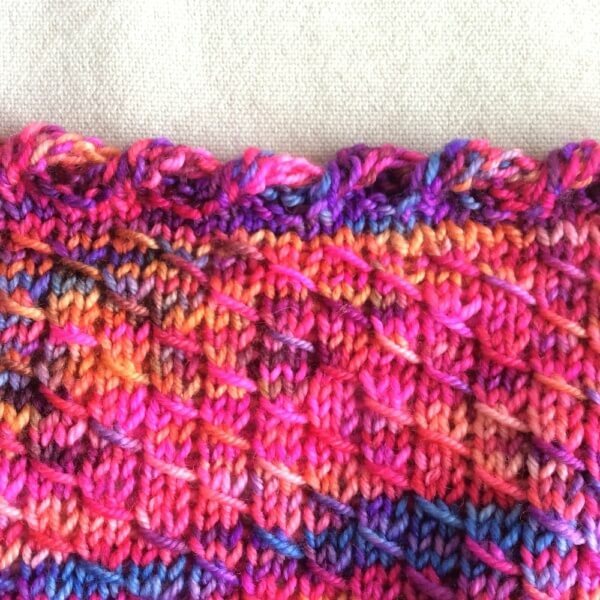 In this example, I worked a couple more rows of stockinette stitch. And there you have it: a lovely Latvian Twist edge! There are also two more points of attention I would like to share with you: A Latvian Twist can only be worked flat. 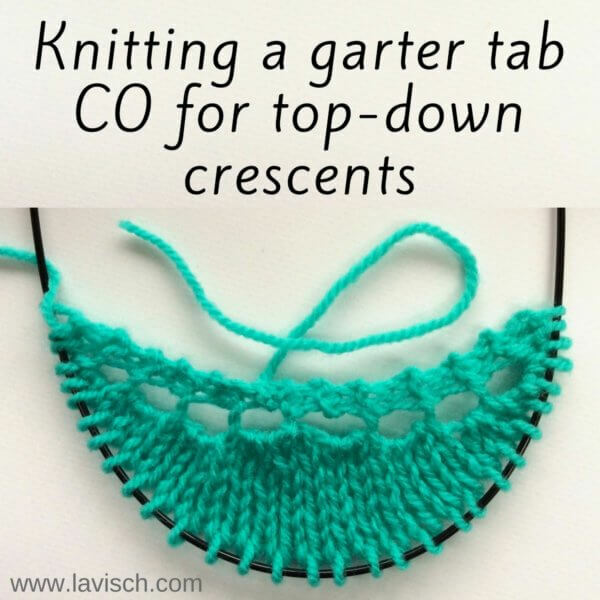 This means that if you want to apply it to a piece knit in the round, you can only join in the round after the Latvian Twist has been worked. 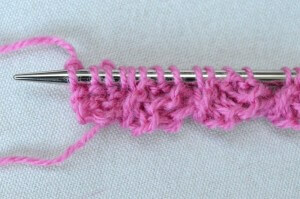 During finishing both ends of the Twist can be sewn or grafted together. 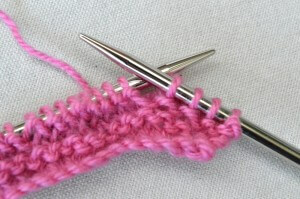 Also, this edge can only be worked at the start of a knitted piece. Therefore, if you want to finish both the start and end of your work two separate Twists have to be worked, to be grafted together using the Kitchener stitch at the end.